Columbia Conveyor Winch Provides Belt Repair Solution - Allied Power Products, Inc.
Why APPI: Belterra has been recognized as a leading marketer and distributor of conveyor belts, service and maintenance solutions since 1969. 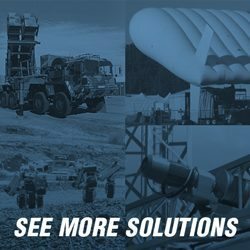 They provide the largest distribution network for conveyor belts, components and bulk handling solutions in Canada. For their customers, minimizing downtime for repairs and maintenance on high volume conveyor belts is critical to keep processing costs low. To help improve upon their level of service, Belterra searched the US and Canada for a reliable, low profile and portable conveyor winch for belt splicing and determined a Columbia WG7500 provided an exact match to their needs. We’re pleased that Belterra can now be counted among the numerous companies who have made a Columbia unit their choice for a conveyor belt splicing winch. Please contact us if you would like more information about this particular conveyor winch system or any of our other products and services. Please send me a quote for this conveyor belt winch system. Thank you for your inquiry, Mr. Cossa. A sales representative will reach out to you shortly to discuss your application details and requirements.